Nationwide Ericsson-LG Phone Systems Suppliers and Installers. The iPECS eMG80 phone system provides a vast range of applications and features to maximise the user’s efficiency. It’s compatible with analogue and digital lines and offers various mobility features, meaning nearly all businesses can utilise the benefits it has to offer. Perfect for SME’s and able to host up to 16 SIP channels, the iPECS eMG80 is the perfect phone system to improve your company’s communications. iPECS UCS Standard server is built into the eMG80. Users can use video, IM, audio conference, visual voicemail, as well as voice calls on one platform. An external server, iPECS UCS Premium, provides even more collaboration features (see page 5 on the brochure for more information). With the iPECS eMG80 you can start small with 2-12 users and grow seamlessly to more than 100 ports. 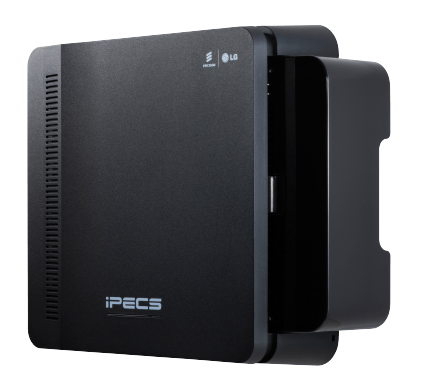 iPECS eMG80 delivers cost effective communications to small and growing businesses and affordable expandability to medium-size businesses. The eMG80 comes highly featured straight out of the box without expensive licence options – voicemail, auto attendant, voicemail to email, smartphone integration, on-demand call recording and much more. The in-built specialist features are designed to deliver a tailored solution for every user. The eMG80 platform includes advanced VoIP technology supporting low cost SIP trunking, mobile integration, remote connectivity and multisite networking. Utilise the latest network technologies to help your organisation stay competitive and win. Why not speak to our Telephone Systems team about the Ericsson-LG Phone System solution. Prefer to talk to someone? Give our expert sales team a call and they will be happy to answer any and all of your Telephone System related questions.